Delivering an integrated collaborative dynamic cloud solution for web meetings and video, conferencing and webinars in a single application. South Jordan, UT and Boston, MA – CallTower, a global leader in delivering cloud-based enterprise-class unified communications and collaboration solutions, announced today the launch of their CT Cloud Meeting powered by Zoom. CT Cloud Meeting is an effective conferencing solution that delivers crystal clear, face-to-face video, high-quality screen sharing and instant messaging on desktop and mobile. CT Cloud Meeting allows users to stay connected and collaborate from wherever they are, making it one of today’s most dynamic and easy-to-use cloud solution for web collaboration, video conferencing and webinars. CT Cloud Meeting is the latest solution in CallTower’s CT Cloud Solution Suite – solutions and applications designed specifically to empower dynamic cloud communications for business customers worldwide. CT Cloud Solutions enable cost-effective communications and increased productivity in today’s dynamic, distributed, mobile workforce. With CT Cloud solutions, network operators can support customers of any size to meet challenges by quickly and reliably delivering feature-rich, high-quality, and secure business communications solutions. 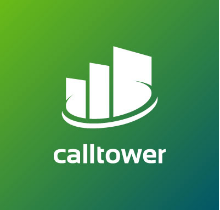 CallTower exists to enable people to easily connect to transact business communications. Since its inception in 2002, CallTower has become a leading provider of cloud-based, enterprise-class Unified Communications solutions for growing organizations worldwide. CallTower provides, integrates and supports industry-leading, cloud-based, Unified Communications and Collaboration solutions, including Cisco® Unified Communications Manager, Native Skype for Business, Microsoft® Teams, CT Cloud, CT Cloud Boost, CT Cloud Meeting powered by Zoom, Zoom Video Communications and Office 365 for business customers. CallTower enhances our clients’ strategic and operational capabilities by integrating VoIP service, mobile applications, email hosting, unified messaging, instant messaging, audio, web and video conferencing, collaboration tools, contact center, cloud services and global networks solutions into one reliable platform. For more information contact marketing@calltower.com.